Who would have thought that putting up a business can help a person battling depression? 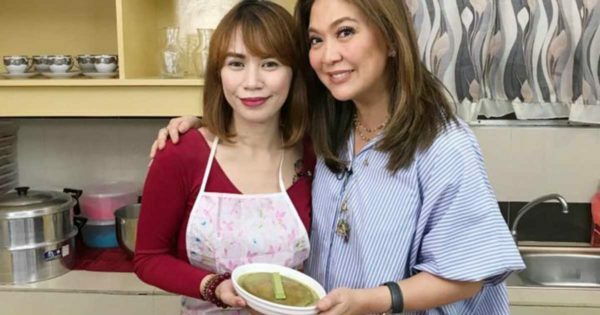 What’s Your Flan owners Princess Rosario was able to overcome her mood disorder by coming up with a business that features Filipino favorite leche flan but with a twist! Instead of just offering leche flan in vanilla flavor, Princess offers it in mouth-watering flavors like green tea matcha, Reese’s, Oreo with caramel, strawberry with cashew and mango float. For three years, Princess worked in Dubai in the hopes that she would attain success in the foreign land. But when she returned to the Philippines in 2009, tragedy struck as her mother, who was suffering from depression, died from the serious medical illness. Because of the tragic incident, Princess also began experiencing depression. There were times that she was unable to eat, think and function like a normal person. Her condition also caused her to become sickly. At one point, Princess almost took her own life because of her depression. Fortunately, Princess persevered to fight her condition and come out stronger through business. Initially, she sold clothes and homemade pasta for a few months. Through research, Princess was able to come up with the perfect business concept. “Nagbasa ako ng successful stories, and ways para mag-click ang business. If you want your business to succeed, kailangan ‘yong business mo is kilala ng tao and may some twist,” Princess told ABS-CBN’s My Puhunan. Aside from introducing a business concept with a twist, Princess supplemented it with the right marketing strategies. “Kasi noon may notebook ako, chinecheck ko yung ways ng marketing na pwede kong gawin. Nagpunta ako resto, nagsubmit ng proposal. So nag-work out siya. Yung mag may-ari nakausap ko mismo. So ngayon nag-start ako with a consignment diba medyo risky kasi pag di nabenta lugi ako,” Princess recounted. “Pero sige inano ko na lang kasi kelangan mag-start ako nang may makuha muna akong market. So lahat ng mag sacrifices na pewee talagang pinasok ko,” Princess added. Currently, Princess has 40 resellers and supplies various restaurants in Quezon City. Check out What’s Your Flan’s simple leche flan recipe.